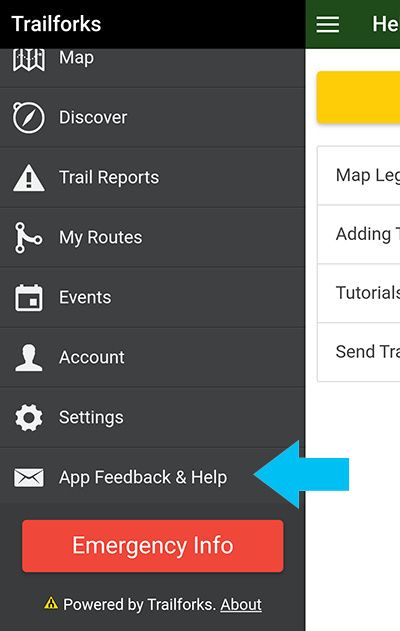 If you're having issues with the GPS ride recording feature in the Trailforks mobile app, you can send us the debug logs. You can also use a hidden function to clear the debug logs BEFORE you track a ride, so the logs will be easier to parse. 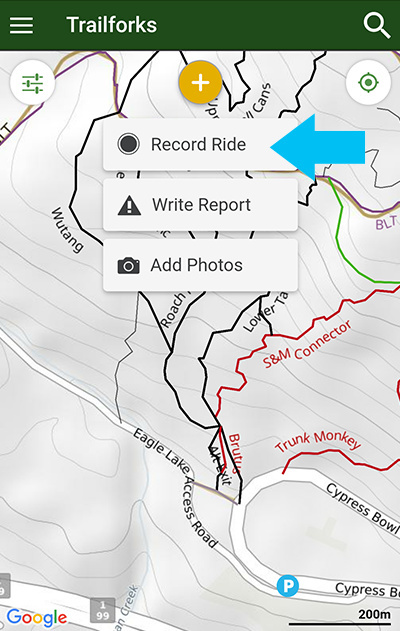 You can press & hold the "Record Ride" button on the map for a few seconds to clear out the debug log. Now try starting the recording of a ride, and wait until your issue to happen so it can be captured by the logs. Then go to the "App Feedback & Help" option in the main menu. 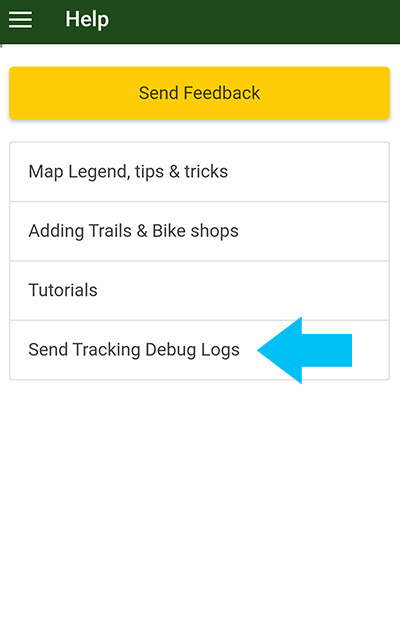 Then click the "Send Tracking Debug Logs". This will create an email with attachment of zipped log file to send us. You should do this soon AFTER you've had a problem with the ride recording.